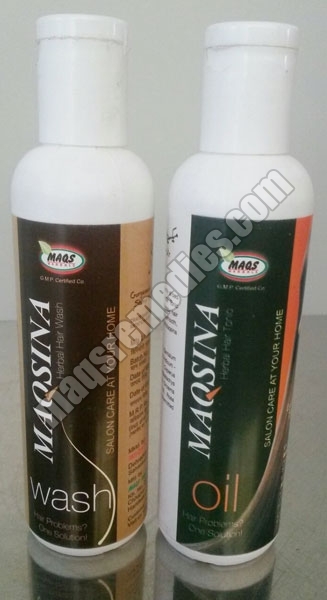 This is the Shampoo Based Hair Wash Blended with Highly Effective Herbs that Cleanses hair and Scalp of Dirt and Dust, Hair Wash is Used After the Massage of Maqsil Hair Oil At Nigh. Hair Wash Moisturise and Nourish Hair, Giving It a Long Lasting Healthy & Shine.the Hair Wash Can Be Use Twice or Thrice in a Week.this Hair Wash and Hair Oil Provide Nourishment to Hair Follicles Make Them Healthy Rejuvenates Damaged Hair, Restores Natural Shine and Silky Fullness to Hair. Uses : Apply to Wet Hair Gently, Massage and Work Into Lather, Rinse Throughtly After Maqsina Hair Wash.or as Directed By the Physician.